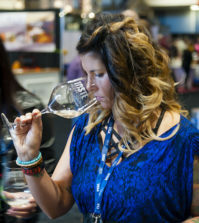 SEATTLE, Wash. — It’s the start of 2015, and yet Sherri Swingle is back in a role she was in during 2013 — leading the Auction of Washington Wines. Swingle recently agreed to return as the auction’s interim executive director, stepping in when Aimee Sheridan resigned after less than a year in the position. 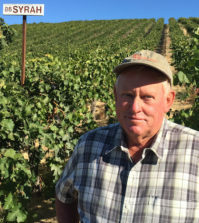 “The whole original reason for me leaving the auction was I have two boys who are 9 and 11,” Swingle told Great Northwest Wine. “They are still at the age where they love Mom and want to hang out with me. The summers make it hard with the Auction of Washington Wines. It was a rewarding summer for Swingle and her family. 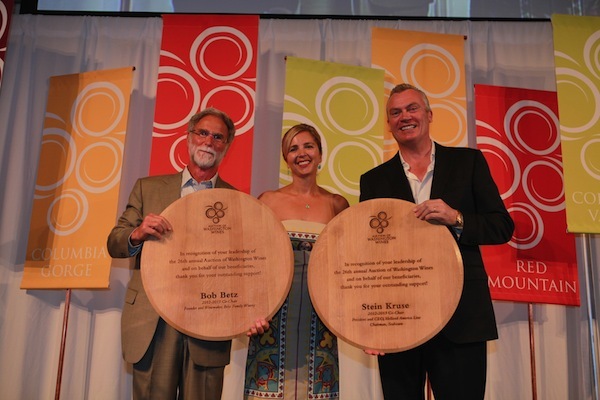 Meanwhile, the Auction of Washington Wines raised $1.8 million for its two beneficiaries — uncompensated care for Seattle Children’s Hospital and Washington State University’s wine program. That’s compared with the $2.1 million generated in 2013, the last of Swingle’s three years as the auction’s executive director. 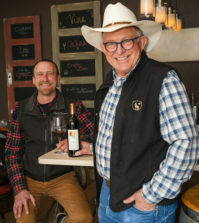 There’s no doubt that the Auction of Washington Wines has been successful in its 27-year history, raising more than $32 million for charities since 1988, when Allen Shoup created it while he was CEO of what is now Ste. Michelle Wine Estates. 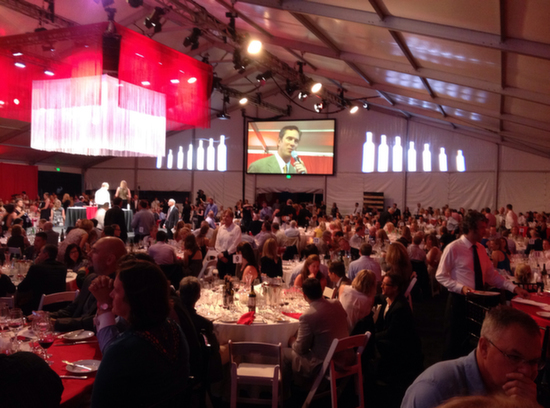 The most generous year for giving was 2008 when the auction raised $2.25 million. Recovery from the Great Recession continues slowly. Last year, though, attendance for the Auction of Washington Wines events was down while marquee auction items and collectible wine lots failed to match the buzz of previous years. Perhaps the most talked-about auction item was the Chairman’s Package created by co-chairs Marty and Megan Clubb of L’Ecole No. 41 with Frank and Charlene Blethen of The Seattle Times. The auction item included dinner at Wild Ginger and club seats to the Seattle Seahawks home game Dec. 14 vs. the rival San Francisco 49ers, which sold for $18,000. The year before, a South African safari and wine country trip with Betz Family Winery brought in $58,000. A VIP experience at the Apple Cup with Washington State University quarterback greats Drew Bledsoe and Jack Thompson generated $22,000. Wines from Washington compete in terms of quality with California and the rest of world, but when it comes to collectors and auctions, they don’t raise bidders’ paddles as often. 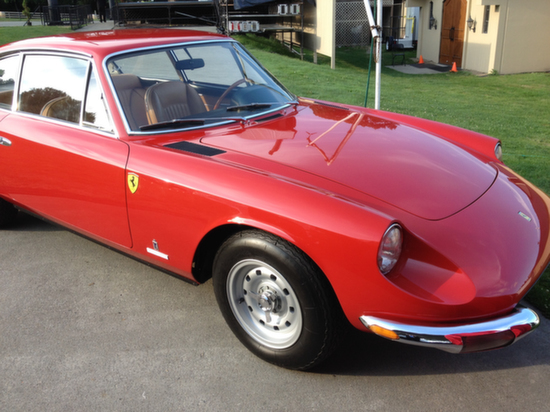 Last year, Auction Napa Valley set a record by raising $18.7 million. The Auction of Washington Wines may never approach the scope of Napa, but Swingle said one goal is a return to Wine Spectator’s annual list of Top 10 U.S. Charity Wine Auctions. The index centers on live bids, and Auction Napa Valley led the country in 2013 with $10.6 million. The Naples (Fla.) Winter Wine Festival was next at $7.9 million, while the only Northwest event to crack the top 10 was the Sun Valley Wine Auction at $996,100. “Many will tell you that Napa has built their industry with the auction, and an important piece is engaging the trade,” Swingle said. 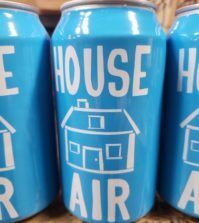 “Retailers and collectors always are looking for something no one else can get, and Auction Napa Valley has done really well at involving trade from all over the country to buy auction lots, which then are taken back to their stores on the East Coast and sold to collectors at a higher price. To do that, growers, winemakers and principals must continue to create special bottlings for collectors and unique experiences to inspire more people to raise their paddles, Swingle said. 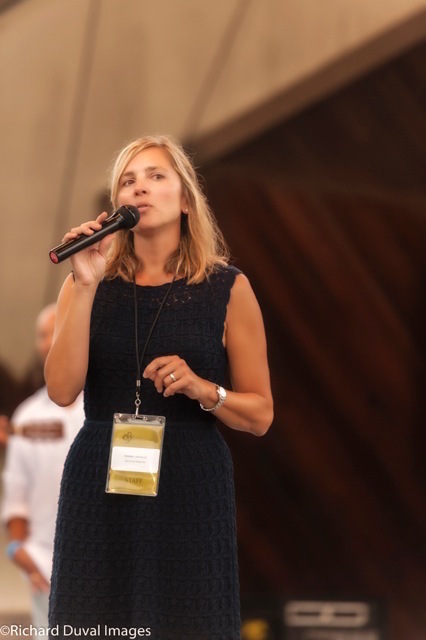 “We need people from outside our region, as well as our local donors, to come to the event, participate in the Auction and give back to our communities and organizations,” she said. This month, Swingle said she and the board of directors will take a hard look at virtually every phase of the Auction of Washington Wines. The event calendar begins May 15-17 with the new Ultimate Walla Walla Flyaway, followed by Revelry on Red Mountain, giving organizers two valued fundraisers staged in Eastern Washington that incorporate vineyard tours and winemaker dinners. “Many people feel that the Auction of Washington Wines is a Seattle or Western Washington event,” Swingle said. Revelry is a bit of a Catch 22 because of its Memorial Day Weekend time frame. This year, Revelry on Red Mountain is May 23, followed by the Picnic & Barrel Auction at Chateau Ste. Michelle (Aug. 13), winemaker dinners at various wineries and restaurants throughout the Puget Sound (Aug. 14), Columbia Winery Run/Walk (Aug. 15) and The Wine Gala at Chateau Ste. Michelle (Aug. 15). There also have been some changes to the board of directors. Sam Baker has been named chairman and Phyllis Campbell joined the board. Baker is a partner in the law firm of Oles Morrison Rinker & Baker. Campbell, regional chair for JPMorgan Chase & Co., is past CEO of The Seattle Foundation — the state’s largest community foundation — and continues to serve on the board of directors for Alaska Air and Nordstrom. Swingle’s role is reminiscent of when Steve Burns, who served seven years as executive director of the Washington State Wine Commission, returned in an interim role after his successor — Jane Baxter Lynn — left the commission in 2005 after serving just eight months. Despite her presence, the Auction of Washington Wines will be operated differently. Last week, the board began advertising for a new position of development director. That person is expected to start this spring and will work in conjunction with Melissa Pederson, who recently was promoted to event director. Pederson began working for the auction in 2011 as Swingle’s first hire. 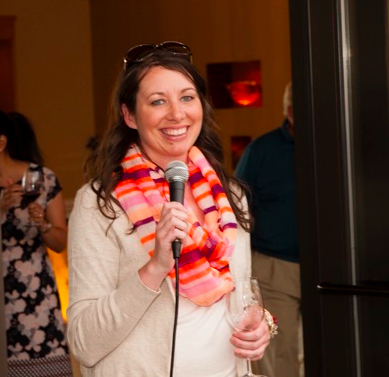 This summer will be another season of adjustments for Swingle, who will continue to balance her family, the Auction of Washington Wines and her consulting business, which includes work on a new wine project involving several industry leaders along the West Coast. However, her second stint with the Auction of Washington Wines will come to an end in October. Her husband, Matt Johnson, knew how important that phone call was from the board of directors, who voted unanimously to bring her back. They had to wait two weeks before Swingle agreed to return. She soon began making trips again to the Auction of Washington Wines office in downtown Seattle and renewing ties with her friends at the Washington State Wine Commission next door. “The organization is celebrating 28 years of tradition and history and I am proud to be part of it all once again,” Swingle said. “2015 is a year of opportunity and strategic planning that will move us towards that top ten listing once again!